Evolutionary biologist Professor Armand Leroi believes data science can transform the pop world. 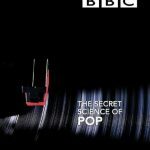 He gathers a team of scientists and researchers to analyse over 50 years of UK chart music. Can algorithms find the secret to pop success? When the results are in, Armand teams up with hit producer Trevor Horn. Using machine-learning techniques, Armand and Trevor try to take a song by unsigned artist Nike Jemiyo and turn it into a potential chart-topper.